The usually reliable Facebook suffered an outage on Thursday this week, amid rumours that the site had been attacked by a hacktivist group. However, there’s been no confirmation of this and it could have just been the case that the site suffered technical problems. 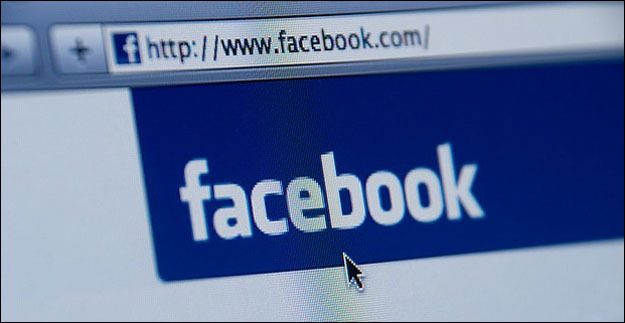 The outages didn’t affect all of Facebook’s 900m users, but many had problems logging in or experienced glitches such as pages being slow to load for a couple of hours. As you can imagine, this prompted a slew of both angry tweets and jokes at the time, with many users furious that they couldn’t access their profile whilst others cracked the joke that “Facebook is down just like its share price”. In spite of the jokes, and the outage, Facebook share prices climbed slightly yesterday by $1.41, bringing the shares up to $29.60. The Communications Consumer Panel (CCP) has warned that unless the government addresses policy regarding broadband rollout and education, the existing ‘digital divide’ will widen further and could threaten to stifle internet growth and innovation. According to the CCP, about 11 million people in the UK still don’t use the internet at home, that’s 22% of all UK adults. Panel chairman Bob Warner said that this means a “significant minority” of people will be left unable to access online benefits and services. “Sustainable growth for the future can only be achieved if broadband is used by most consumers and businesses,” he went on to say. The key to rectifying the situation should be a balance between broadband rollout and online support. Incentives in the past to get people online have included digital champions, who work with people in minority internet groups such as the older generation to teach them how to use the net. A new Facebook scam is doing the rounds that claims to be able to remove Timeline and revert profiles back to the old layout. Timeline remover comes in the form of an email or app and takes unsuspecting victims to a third-party Turkish site where they are requested to install a browser plugin. The software is written in Turkish and warns users that the plugin is for Turkish users only with a line written in English. Whilst the email version is still being examined by GFI Lab, the app version appears to point to a survey scam. Survey scams are common on Facebook and often use social engineering to get users to click on them. This takes the form of sensationalist photos and videos in many cases, although there is also the ever popular ‘see who views your profile’ scam which continues to appear frequently on the site. Generally, when clicked, the user is taken to an external site or dodgy app and asked to fill in a survey in order to get to a photo or access the app. These are malicious and can sign up victims to premium rate services, as well as result in unwanted calls. In the worst cases, they contain malicious code which infects a victim machine with malware, often banking trojans. Needless to say it doesn’t work and like all things on Facebook that make unlikely or sensationalist promises, it should be avoided. Windows 8 is now available to download for review before the official version is released to manufacturers in a couple of months’ time. The latest offering from Microsoft has IE10 with integrated Flash and a touch feature that allows flicking backwards and forwards between pages. There is also a new Hotmail app, as well as SkyDrive and Messenger and more are expected to follow. In addition to this, new lock-down features are enabled to give more control for parents to restrict what their kids can get access to. No official release date has yet been given, but it’s thought that Microsoft will introduce a new voucher scheme which enables new PC buyers to upgrade to W8 at a substantially lower cost. Three EU committees have voted against the implementation of the controversial Anti-Counterfeiting Trade Agreement (ACTA). The anti-piracy treaty has come in for widespread criticism from rights groups and consumers alike, as it’s thought to be a threat to online freedom. The committees were looking at the details of ACTA in order to assess if it constitutes a threat to civil liberties, the legality of it and whether it’s likely to threaten innovation. The European parliament will make its final decisions on ACTA come July, let’s hope it’s the right one for the internet, rather than movie moguls. And finally … is this the most romantic proposal ever? If the video below doesn’t bring a tear to your eye and put a smile on your face for the upcoming Bank Holiday weekend, then you have a heart of stone. Or perhaps I’m just a helpless romantic, who knows. Isaac’s Live Lip-Dub Proposal hit YouTube this week and so far has gained 11,326,871views and made it to the top of the Guardian’s viral video chart. As well as the time and effort that the potential groom put into his proposal, the ‘awww’ factor is undeniable.